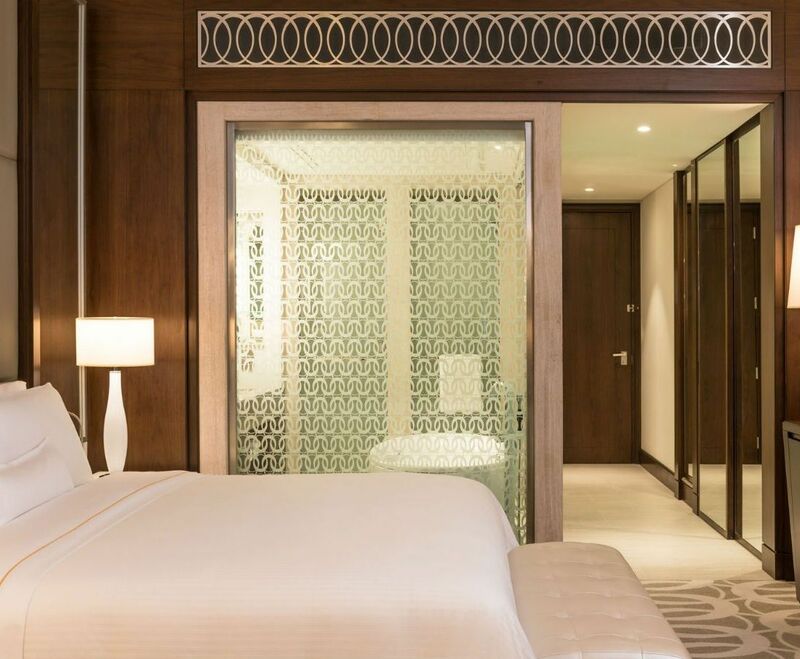 The Westin Dubai Al Habtoor City | Karwan-e-S A Travels & Tours Pvt. 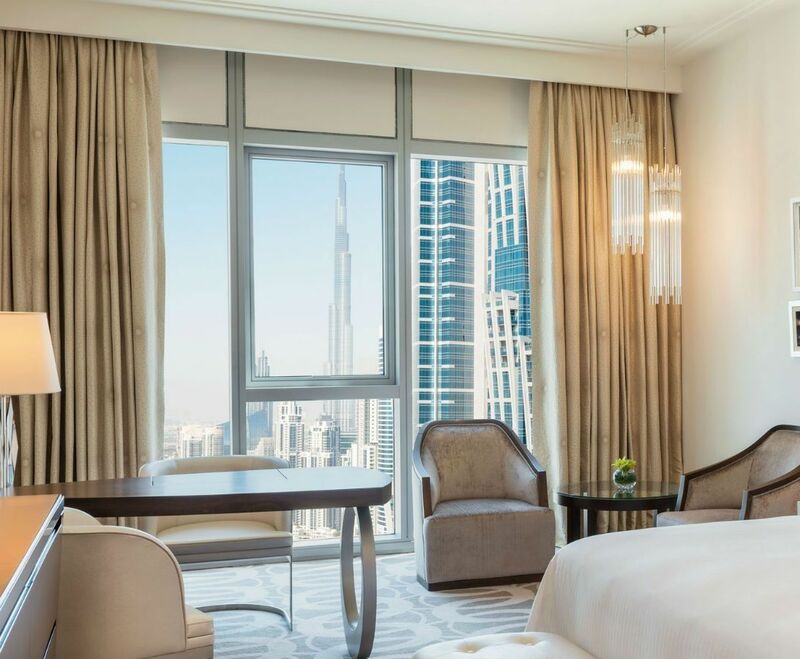 Ltd.
Serenity stands 41-storey tall, with The Westin Dubai Al Habtoor City; ideally resting along the iconic Sheikh Zayed Road and on the banks of Dubai Water Canal, the hotel offers you a vibrant stay, with every aspect of your visit transformed into a revitalizing experience. 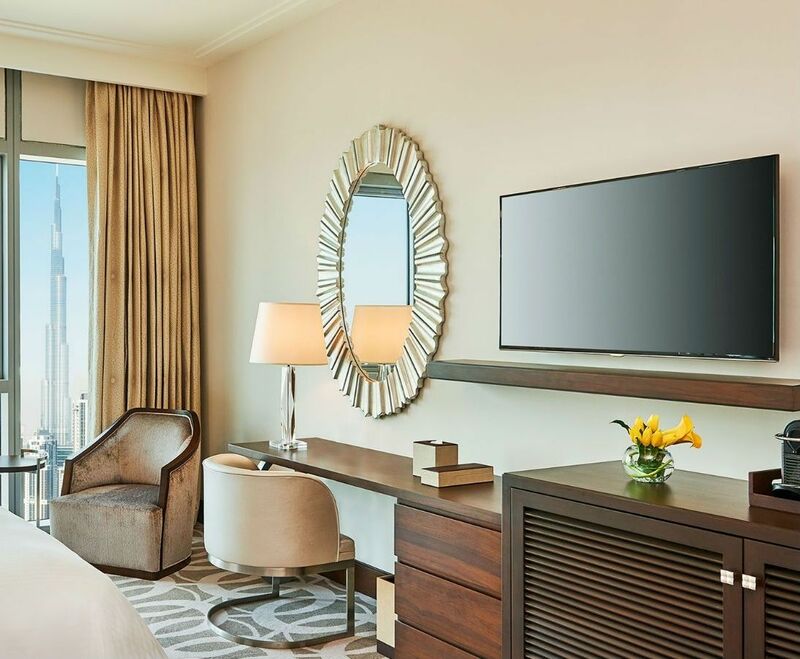 As the newest and grandest Westin in the region, every detail – from your peaceful guestroom with Westin Heavenly® Bed and Westin Heavenly® Bath to the six delicious restaurants with cuisines from around the world – is designed to ensure an enlivening stay. Energize in the Heavenly Spa by Westin with 20 treatment rooms, hammam and dedicated male and female wet decks or find peace in the dedicated yoga studio. Host your important event or celebration in one of our 16 meeting rooms or our Al Joud Ballroom, which can accommodate everything from small meetings to grand galas. Entertainment for all ages abounds, with the nearly-completed 1,400 seat Dragone theater within walking distance and the beloved Westin Family Kids Club on premises. We look forward to welcoming you to this enclave created with a better you in mind. Relax in this 45 sqm retreat with a king-sized Westin Heavenly® Bed. Unwind in restful corner seating or stay productive at the writing desk with complimentary Wi-Fi. Refresh in the Westin Heavenly® Bath featuring a free-standing bathtub, separate rain shower and dual-sink vanity. Connecting rooms are available. 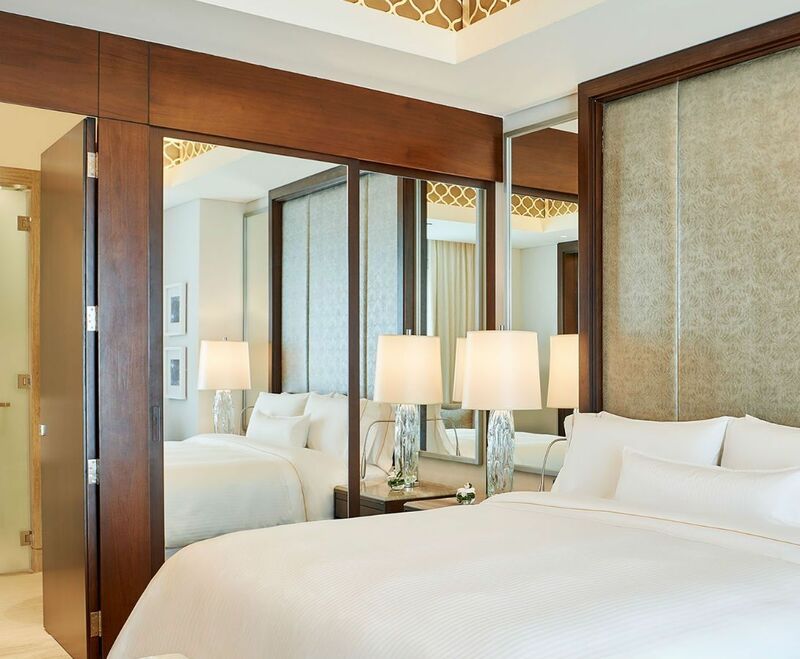 When twin beds are preferred, this 41 sqm room with two twin Westin Heavenly® Beds is the ideal option. The Westin Heavenly® Bath features a free-standing bathtub and dual-sink vanity. Relax in comfortable corner seating or be productive at the writing desk. Amenities include coffee station and complimentary Wi-Fi. Connecting rooms are available. Elevate your stay in this Club Floor guestroom with access to The Westin Club. This 45 sqm room offers a king-size Westin Heavenly® Bed and Westin Heavenly® Bath with free-standing bathtub. Repose in corner seating with complimentary Wi-Fi and a cup of coffee from the in-room station. Connecting rooms are available. A haven for friends traveling together or individual travelers, this Club Floor guestroom offers 24/7 access to The Westin Club. This 41 sqm enclave features two twin-size Westin Heavenly® Beds and Westin Heavenly® Bath with a free-standing bathtub and shower. Enjoy complimentary WiFi and lounge on in corner seating with a fresh cup from your in-room coffee station. Enjoy the spacious peace of this 65 sqm suite. A king-size Westin Heavenly® Bed and work desk are partitioned from the living area with corner sofa. Relax and re-energize in the free standing bathtub or in the separate shower of the large Westin Heavenly Bath® with dual vanities. 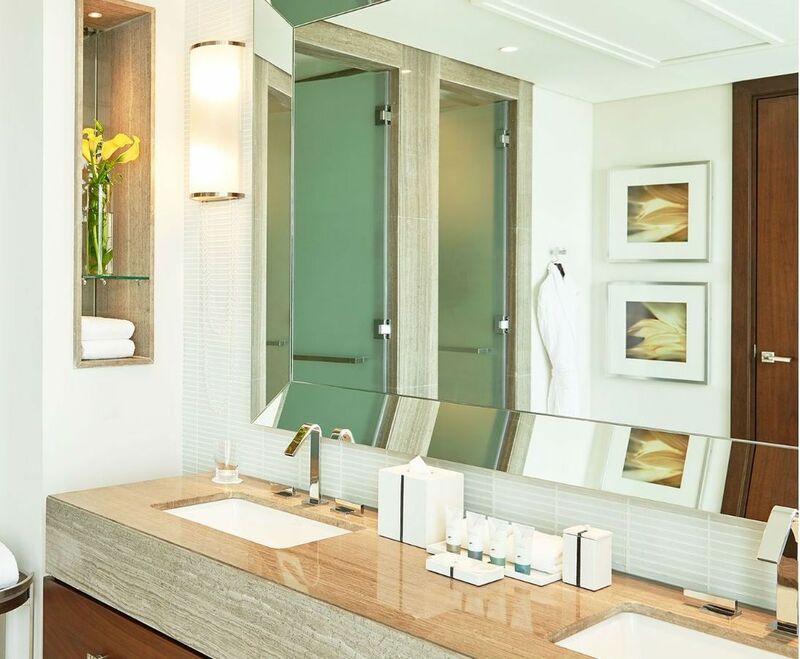 The energizing space and amenities of this 85 sqm suite allow you to stay at your very best. Entertain or hold an impromptu meeting in the living area complete with a guest bathroom. 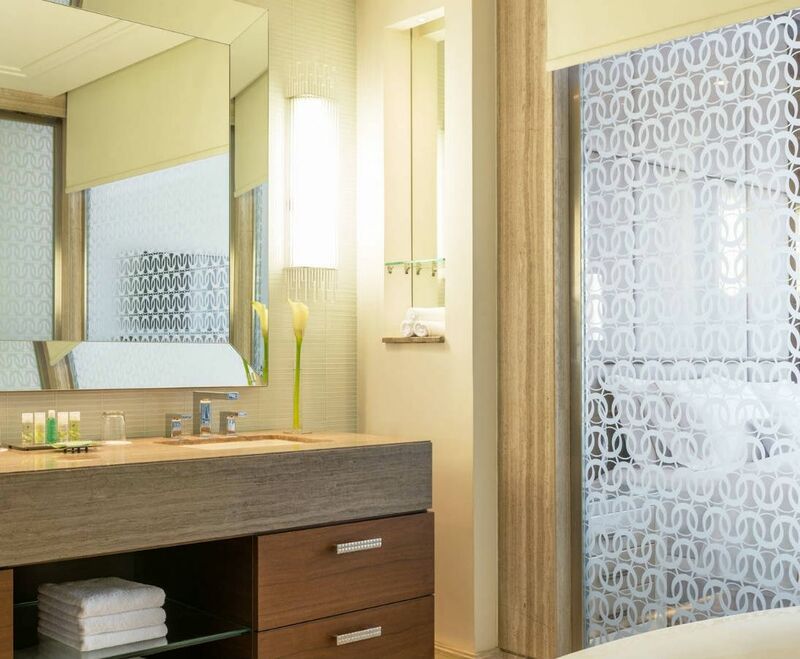 Reenergize in the separate bedroom with a king size Westin Heavenly® Bed and en-suite Westin Heavenly® Bath with soaking tub and separate shower. Expand your possibilities in this this 85 sqm suite with full access to The Westin Club. A spacious living area, guest bath and guest vestibule is ideal for unwinding or entertaining. A separate bedroom with a king size Westin Heavenly Bed® and en-suite Westin Heavenly Bath® with separate shower and bathtub creates the perfect retreat. Elevate the stay for the entire family. 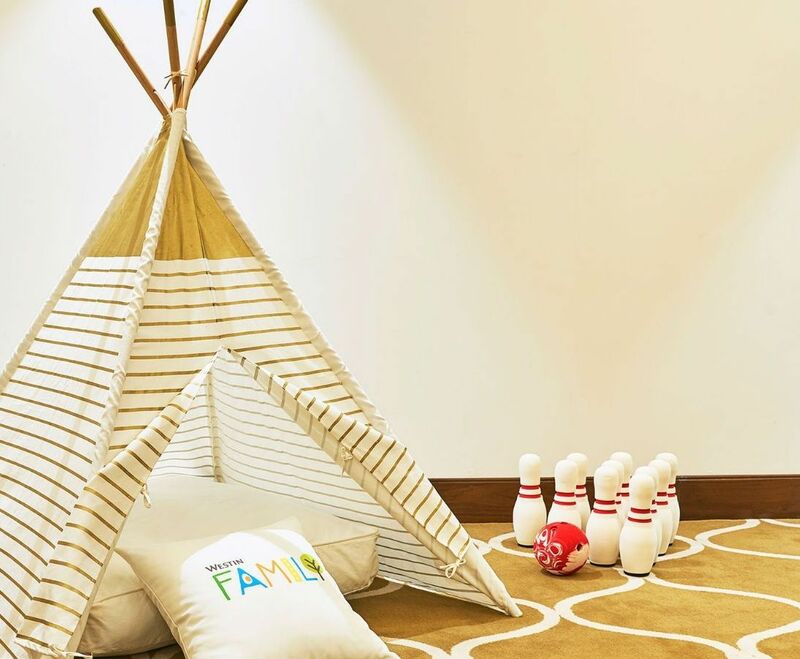 Enjoy access to The Westin Club with the 102 sqm Family Club suite which features a master bedroom with en-suite bathroom designed expressly for parents and a separate kid’s playroom with bean bags to appeal to the youngest guests. Revitalize in the expansive privacy of this 168 sqm suite. A separate bedroom features the signature Westin Heavenly® Bed and an en-suite Westin Heavenly® Bath. Entertain or simply relax in the living room or at the bar counter with seating and a pantry, or indulge at the dining table set for 10 in the separate dining room. Connectable to Deluxe Twin Rooms. 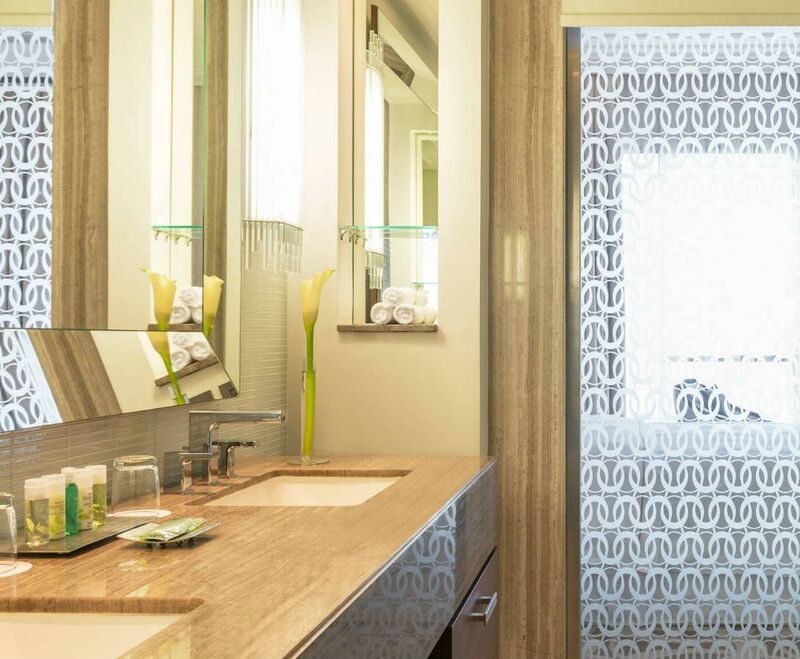 Retreat to the refined haven of our 320 sqm two-bedroom suite. An expansive master bedroom features its own private en-suite living area, walk in closet and Westin Heavenly® Bath. A separate and spacious living room is designed for entertaining with a bar area, pantry and a separate dining room set for 10 guests. 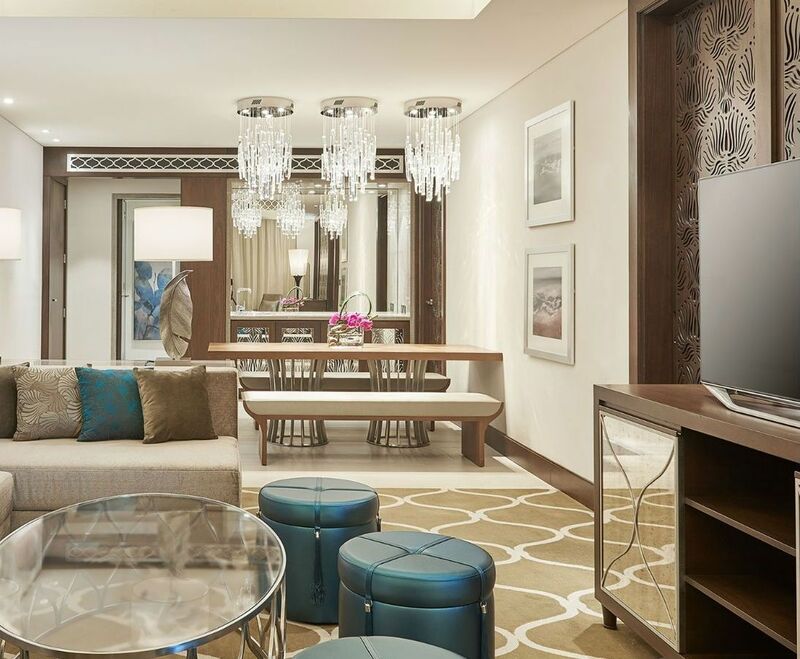 Located on the 40th floor, the 425 sqm Heavenly Suite provides the ultimate sanctuary. 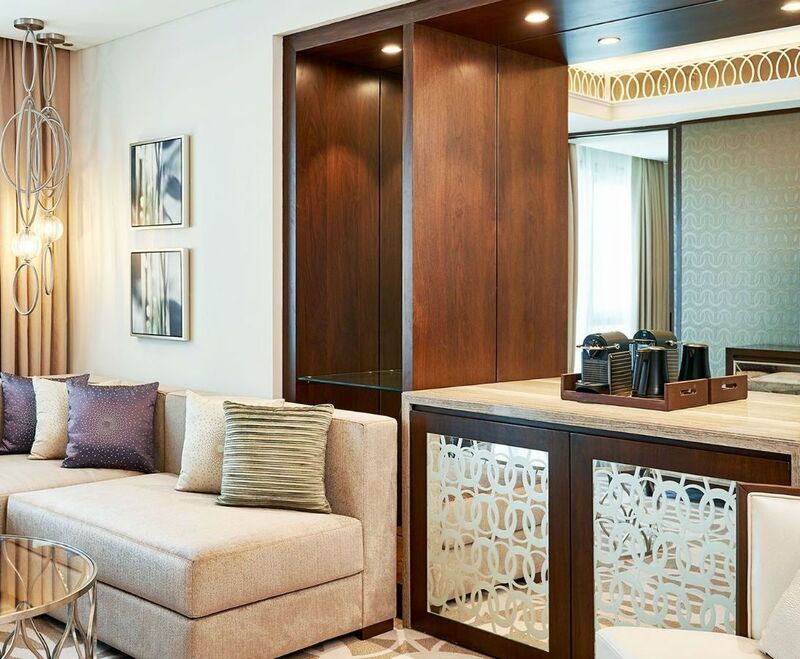 This two-bedroom suite features a spacious living room with a separate dining room for 10 with a Majlis as well as an entertainment room with media wall and pool table.